The New Orleans Saints continue to retool their roster, signing RB C.J. Spiller and trading away a young promising WR in Kenny Stills to the Miami Dolphins for Dannell Ellerbe and 3rd round draft pick. This after trading away Jimmy Graham to the Seattle Seahawks for a 1st round pick and Max Unger. 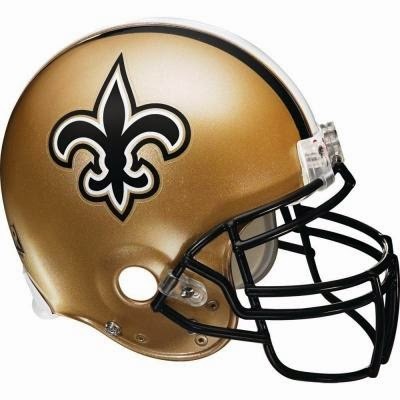 New Orleans was able to re-sign Mark Ingram but released Pierre Thomas. The backfield in Bayou is crowded with Ingram, Spiller and Khiry Robinson, but Ingram will get the majority of snaps while Spiller will most likely play the role of Darren Sproles/Reggie Bush during the Saints heyday. After seeing 200+ touches two seasons in a row with the Buffalo Bills, Spiller was limited to just 9 games last season and gained just 425 total yards and one touchdown. This after averaging over 1,400 total yards over the two previous years. In 2012, Spiller rushed for 1,244 yards (6 yards per carry and 6 TDs) and gained 459 yards via the pass scoring two more times. He did so while sharing the backfield with Fred Jackson and Ryan Fitzpatrick as his quarterback. Spiller is one cut away from breaking a long TD every time he touches the ball and with Drew Brees as his QB, we could see him be a huge part of the Saints passing attack, alongside Brandin Cooks and Marques Colston. He will be a solid RB2 in PPR leagues. As for Stills, staying in New Orleans would have been great for him this season, with Jimmy Graham gone. A move to South Beach means he has to develop chemistry with QB Ryan Tannehill, while learning a new offense and fighting for targets with Mike Wallace (for now), Jarvis Landry and newly acquired TE Jordan Cameron. I love the move for the Fins in real life, but as for fantasy football, Stills just took a little step backwards. Depending on what happens with Wallace will make or break Stills fantasy value.